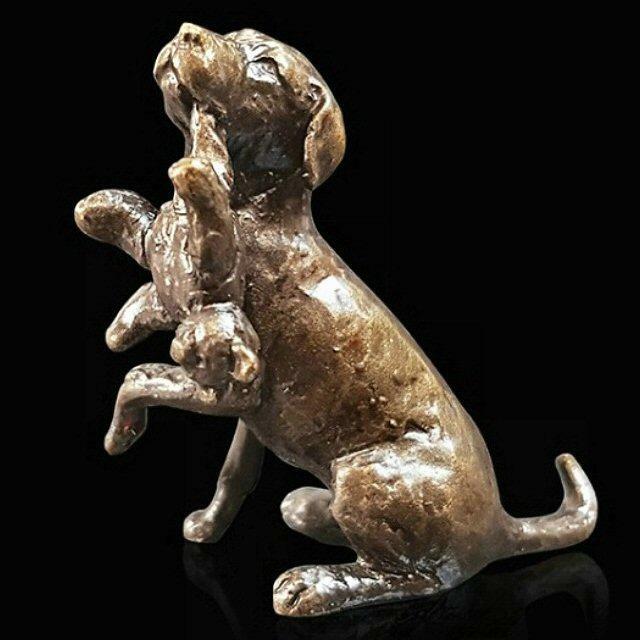 Labrador with a teddy bear, beautifully crafted in bronze from the Butler and Peach miniature sculpture collection. One of our most popular dogs the Labrador Retriever was originally bred as a working dog. They make fine gun dogs but most are now kept as friendly family pets. A Labrador with a teddy, what could be a more adorable combination - a perfect small gift for any lover of these loyal dogs.